Headache is pain in the region of head or neck and is a symptom of various diseases. Headache could be primary (i.e no known underlying cause) or secondary( when there is a known or detectable underlying cause) Common causes of primary headache are Migraine, tension headache, cluster headache, trigeminal neuralgia. Secondary causes of headache include blood clots or bleeding in the brain, brain tumours, acute sinusitis, brain infections or stroke. It is very important to identify the cause of the headache for its proper management. Some of these produce very severe headache and neck pain. 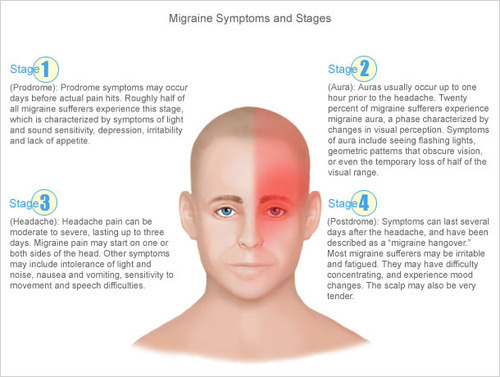 Migraine is one of the most common causes of headache. Migraine affects one side of the head, is throbbing or pulsating in type and can last upto 3 days. It is usually associated with strong dislike for light and sound/noise and many times there is vomiting. Some patients experience an aura that may affect the vision or sensation or weakness of limbs which warns of the impending migraine attack. There are many triggers for migraine headache. Tension is the most common cause of headache in adults. It is a described as a mild to severe pain or band/heavy sensation over the head. There could be many precipitating causes for tension headache like poor sleep, poor posture, mental stress, hunger, overexertion, etc. Sinus headaches are caused by infected sinuses. They are an uncommon type of headache and are felt as a dull or throbbing pain in the upper face. A lot of people assume they have sinus headaches whereas they are most likely to be suffering from migraine or tension headache. It tends to be at its worst in the morning and may improve by afternoon. There is worsening of pain on moving the head, bending down or staining at stool. Most of the primary headaches like migraine, tension headache or cluster headache can be treated effectively with medicines. Often certain tests like MRI or CT scan of the brain are done to rule out other serious causes of headache. Occasionally Botulinum toxin injections are administered for refractory migraine. Dr P R Krishnan has Special interest in the treatment of headache and is an associate member of the International Headache Society. 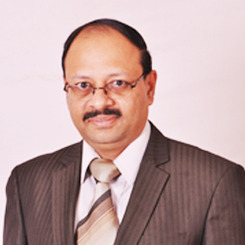 Dr P R Krishnan is a reputed Neurologist in Bangalore consulting at Bannerghatta road.